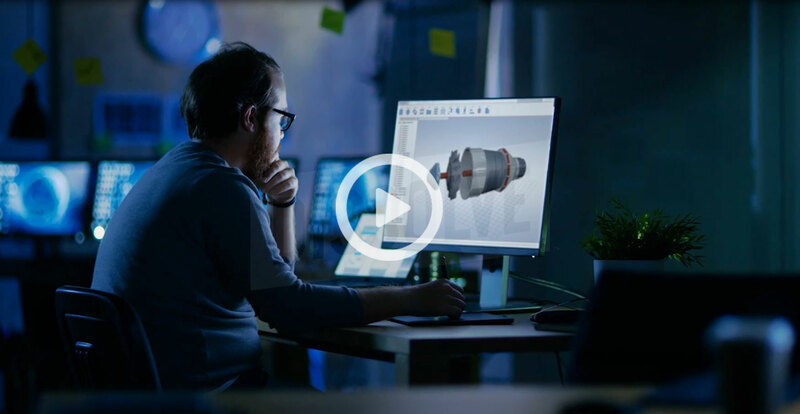 Advanced Design Technology engineers designed a unique turbodrill turbine with high-torque at low speeds as well as a zero-torque speed option for safety. The customer was a leading manufacturer of turbodrills for oil and gas services. 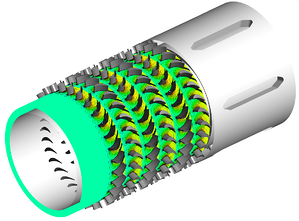 The challenging requirements of high-torque with low runaway speeds meant that no conventional design would work and a unique design would need to be created. ADT used TURBOdesign Suite and its 3D Inverse Design method to find a solution to the contrasting demands of the work. Being able to carefully control the blade loading meant that high torque could be created without the adverse effects that would be expected from a traditional design approach. Not only was the final design able to produce more torque at low rpm but it also managed to reduce runaway speed.